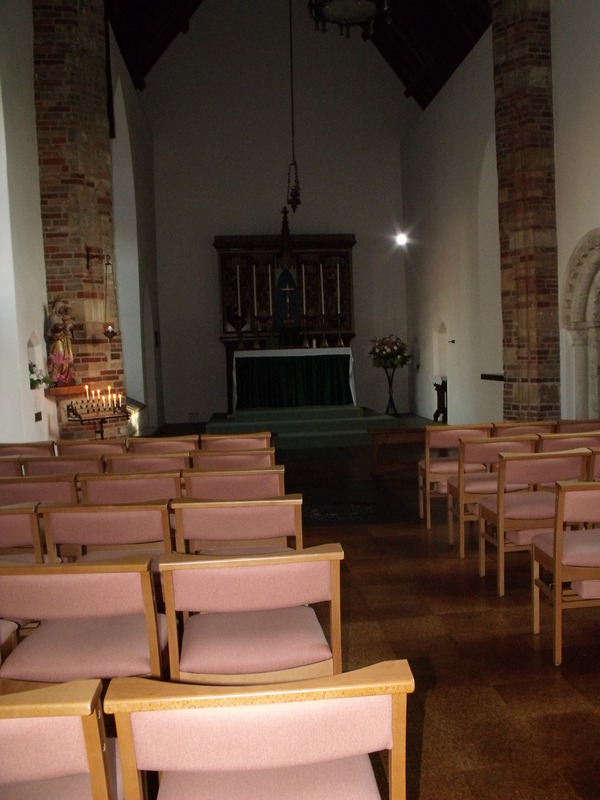 On the busy Rouen Road, surrounded by modern housing, businesses and offices, sits a very special little church. It doesn’t look much on the outside but step inside and you can feel a definite sense that here is a very holy place indeed. Yet, it nearly didn’t survive. Norwich was badly bombed during the second world war and St. Julians, being near the river and the important Boulton and Paul factory, was almost completely destroyed. Thankfully it was rebuilt and today welcomes visitors and pilgrims from afar. There is a community of nuns living next door and a visitor centre as well. Why the fuss? 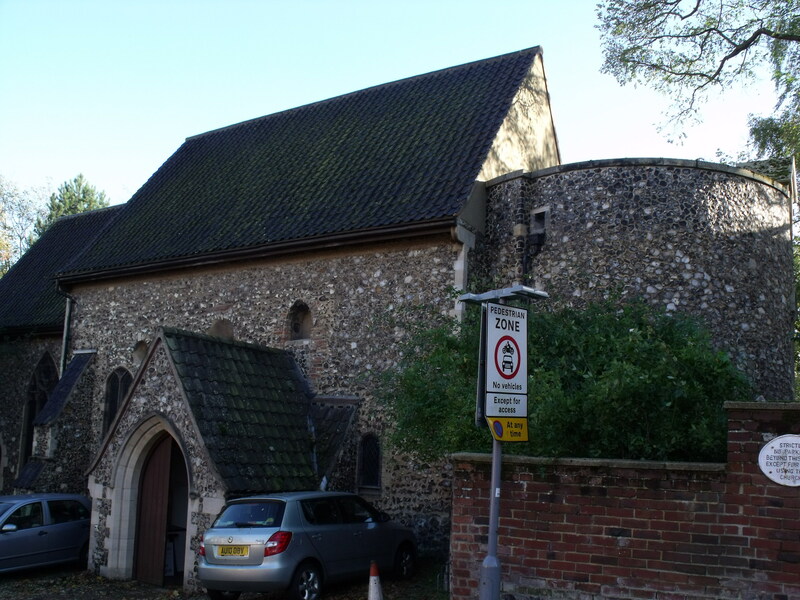 Well, this is a place associated with the medieval mystic, Julian of Norwich, who wrote the first book written by a woman in English, The Revelations of Divine Love. Julian (who’s real name we do not know) was an anchoress here and the site of her anchorage has been lovingly rebuilt. In the adjoining visitors centre there are books and other materials about her. In the church itself, there are some booklets available as well as some multi lingual laminated sheets to guide the visitor. Really, this is a place to soak up the atmosphere. 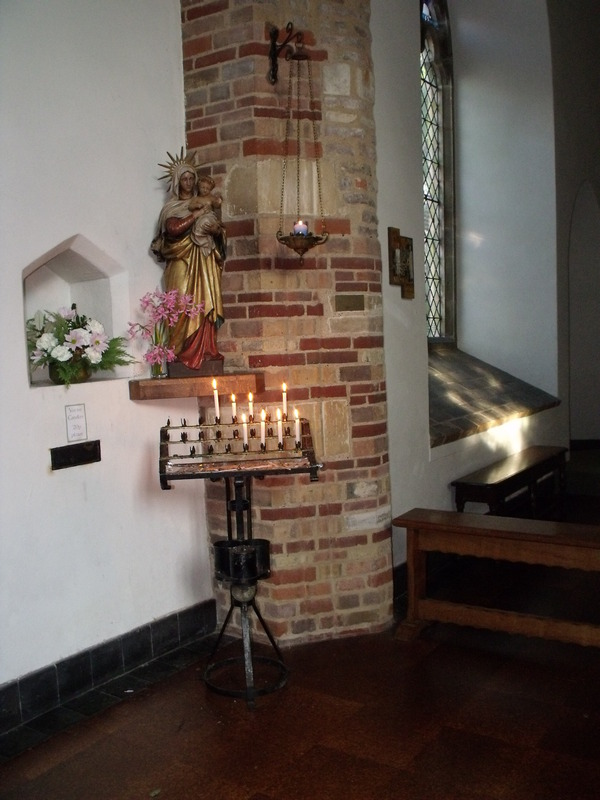 A votive stand, in front of a statue of our Lady, is well used. 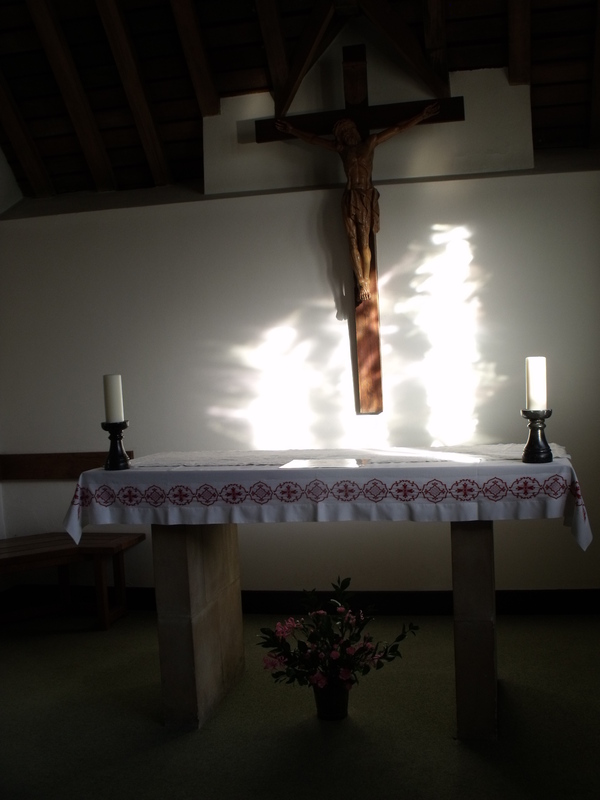 This is a very good place to pray for someone or for yourself. Surely, prayers uttered here must carry more weight? There is a visitor’s book here and some 31 people had added their names in October (I visited on the 29th). A final picture shows Julian’s Cell.